The installation process itself was amazing. The first weekend we dug swales, sheet mulched and planted eight fruit trees. A crew of volunteers was there to help with the shoveling, planting, and moving of the mulch. The second weekend was the installation of the gray water line from the garage to the garden. Another group of volunteers showed up to learn about the installation process and lend a hand. The third and final weekend was when the garden took shape. More volunteers joined the project and the irrigation was completed and plants were set in place. 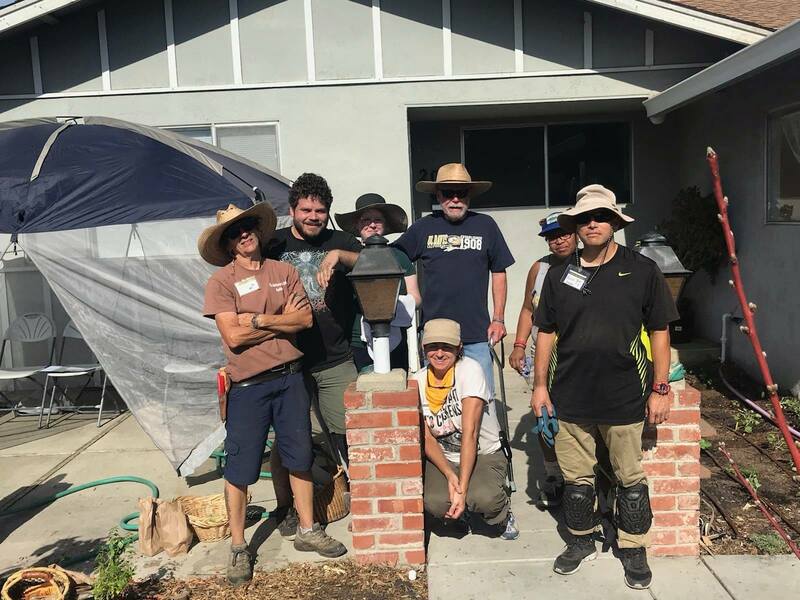 A integral part of every Saturday was an educational workshop, which taught others the value of permaculture and it’s place in a water wise garden. My family is grateful to Sustainable Solano and all of the community members who came to volunteer on the project. I am anxious to see what it will look like as the trees and plants get established. 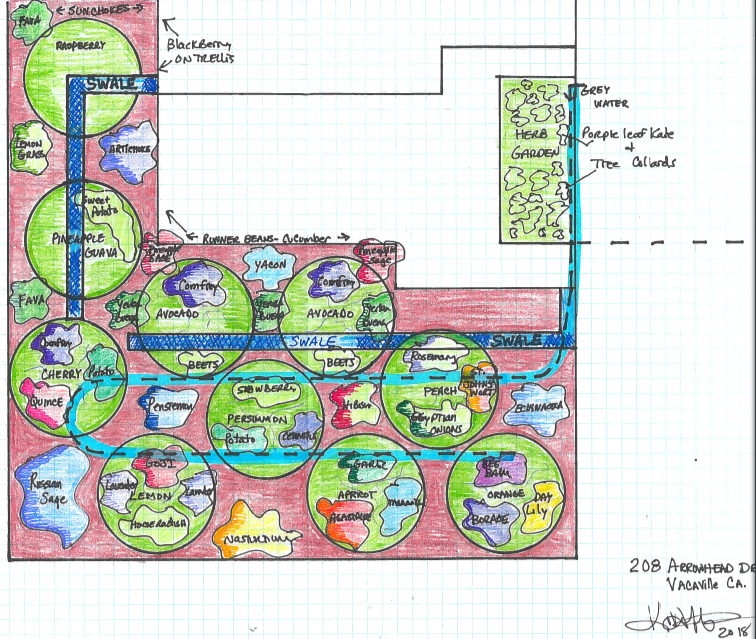 After seeing this process from start to finish I am a new convert for urban permaculture and an advocate for sustainable food forests. These food forests can take the place of front or backyard lawns, reducing our water consumption and adding a readily available supply of fresh food to our tables. I cannot wait to be able to bring baskets of fruits and vegetables to share with the teachers and students at the music education non-profit where I work, knowing that they came from my own yard. By cultivating and sharing the rewards our little plot of suburban land to create a useful and beautiful forest, I believe that we can inspire and teach others to do the same. See a gallery of Healthy Futures photos here.